EXCLUSIVE AUTHOR AUTOGRAPHED LIMITED EDITION! The autographed hardcover edition of this book is a strictly limited edition, and author signed copies will only ever be available direct from FAB Press - you need to order here to make sure you get a signature copy. The western is America’s definitive contribution to cinema, a bullet-spattered blueprint for the nation’s image of itself and its place in the world. To watch a western is to witness the birth of a nation, overseen by square-jawed sheriffs and steel-nerved gunfighters, armed with six-guns and a clear moral vision. Their victories against outlaws and Indians were proof that might was right – so long as it was in the correct hands. 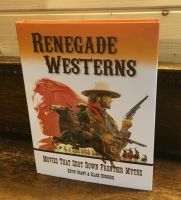 Renegade Westerns shows the shadowy side of this picture, where heroes behaved like villains, where Indians were not always the savages we’d been led to expect. From injustice in The Ox-Bow Incident to racism in The Searchers, numerous films criticised the methods behind the myths and the personalities behind the legends. They questioned the simple belief that the destiny of the United States was to expand right across the continent, regardless of other peoples’ claims to the land. The cast of characters includes cynical mercenaries and ageing cowhands, gun-toting cattle queens and teenage outlaws. We encounter western superstars – John Wayne and Clint Eastwood, Gary Cooper and Robert Mitchum – and icons of modern film – Brad Pitt and Samuel L. Jackson, Johnny Depp and Michael Fassbender. More than 100 films are dissected and discussed, from the hidden depths of High Noon and The Man Who Shot Liberty Valance to the ferocity of The Wild Bunch. There are skewed biopics of Billy the Kid and Jesse James, acid westerns and Cold War parables. 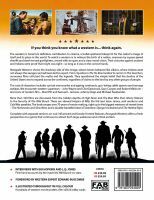 The book ranges over 70 years of movie-making, right up to the biggest westerns of recent times – The Homesman and Slow West, and a double-barrelled blast of Tarantino: Django Unchained and The Hateful Eight. 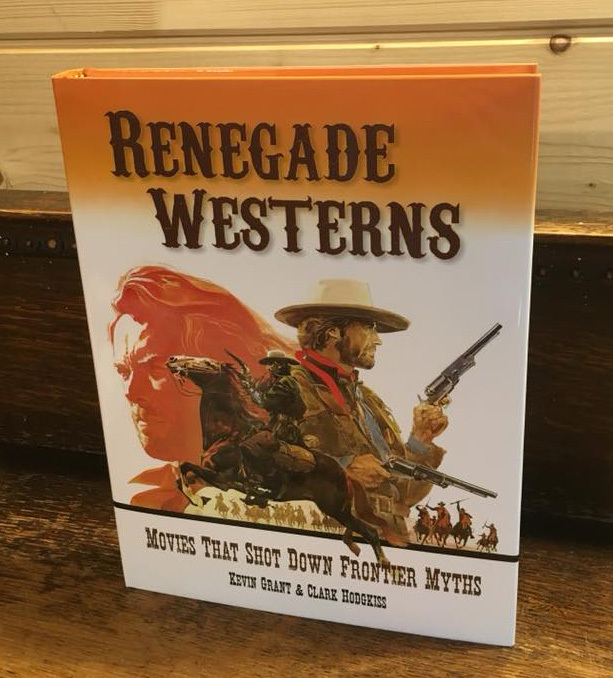 Complete with a foreword by western expert Edward Buscombe and first-hand accounts by The Wild Bunch stars Bo Hopkins and LQ Jones, Renegade Westerns offers a fresh perspective on a genre that continues to attract both large audiences and critical acclaim. 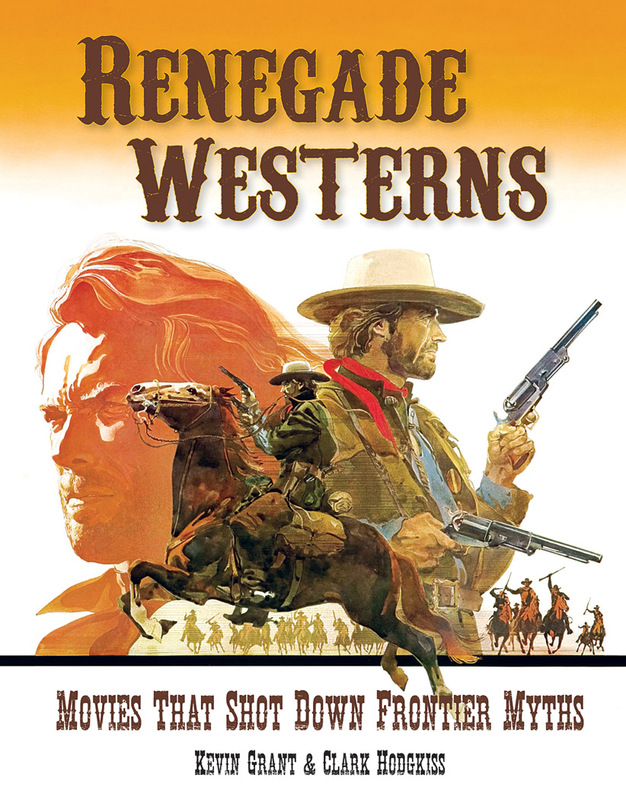 Kevin Grant is an armchair film historian and lifelong aficionado of the western genre. The author of the renowned book Any Gun Can Play: The Essential Guide to Euro-Westerns (FAB Press, 2011), he has written for many film-related publications and sat on the jury of the 2013 Almeria Western Film Festival. Clark Hodgkiss shares a passion for the western. He founded the trailblazing Euro-western fanzine Blood, Money and Vengeance, and has contributed essays and reviews to other magazines. He also provided additional research material for Any Gun Can Play. This is his first book.